The past truly comes alive as you take a series of imaginative leaps into the world of history's anonymous citizens, people such as a Greek soldier marching into battle in the front row of a phalanx; an Egyptian woman putting on makeup before attending an evening party with her husband; a Greek citizen relaxing at a drinking party with the likes of Socrates; a Roman slave captured in war and sent to work in the mines; and a Celtic monk scurrying away with the Book of Kells during a Viking invasion. Put yourself in the sandals of ordinary people and discover what it was like to be among history's 99%. What did these everyday people do for a living? What was their home like? What did they eat? What did they wear? What did they do to relax? What were their beliefs about marriage? Religion? The afterlife? This extraordinary journey takes you across space and time in an effort to be another person - someone with whom you might not think you have anything at all in common - and come away with an incredible sense of interconnectedness. You'll see the range of possibilities of what it means to be human, making this a journey very much worth taking. This lecture series spans 24 hours of listening time, covering thousands of years of human history and prehistory. Although it is a lecture series, it isn’t at all stuffy or boring. In fact it is an enthralling, gripping and moving story of how our ancestors used to live their daily lives. The author focuses on what he calls the ‘other side’ of history, looking at the way ordinary people, rather than the ruling classes, lived their lives. He paints vivid pictures of the daily challenges facing early humans, Neanderthals, hunter-gatherers, the first farmers, the first citizens of Mesopotamia, the Egyptians, Greeks and Romans. He then moves to Britain to describe the Roman occupation, and the Anglo-Saxon period, finishing with the Norman invasion and the mediaeval era. Themes that arise and recur many times across this immense span of history and prehistory include: the prevalence of slavery; the low social status of women and the hazardous nature of childbirth; the ever-present threat of violent death and appalling injury; short life expectancy; the constant discomfort caused by lice, worms, tooth decay, arthritis and gastroenteritis, and the smell of bad breath, body odour and faeces which would have filled the air in most of these societies most of the time. The immense power of religion was another force controlling the lives our ancestors to a depressing extent. For each period of history the narrator focuses on a few different roles within the society in question. For example, in the Roman period you would learn what it was like to go into battle as a legionary, or to be a criminal facing the hideous ordeal of crucifixion, or an elderly man who can’t afford to retire and must work until he drops, living on the top floor of a rickety high rise Roman apartment block, with no sanitation and the constant risk of being burned alive in a fire. I was never bored for a moment as the narrator transported me back through history and into the shoes, or sandals, of my ancestors. I wholeheartedly recommend this talking book. Had I not just listened to the fantastic set of lectures by John Hawks (The Rise of Humans: Great Scientific Debates) which was so fascinating it had me reading the original research papers and some anthro textbooks, then I probably wouldn't have realized what HUGE liberties Robert Garland takes with the facts in the early chapters of this book. For instance he tells us that scientists believe the famous partial skeleton Lucy is female only because she's short. He talks emotionally about how the ancient Laetoli footprints were made by a male walking with his arm placed protectively around a female and thus represent the earliest proof of pair bonding. He says the withered arm found on a distant human ancestor was proof that those hominids felt love for each other. He dismisses decades of DNA analysis of Neanderthals and the Human Genome Project by saying it's probably not right. But none of those stories is even close to being scientifically accurate, and in one case the 'scientist' Garland cites as the originator of the information is not a scientist at all, but travel writer Bill Bryson. To hear decades of scientific research twisted into something completely inaccurate because it made for a better story really made me uneasy and untrusting of this man's categorical statements. So as the book went on I kept fact checking him and yep, time and time again he sacrificed accuracy for showmanship. He tells a good yarn, it's just not always true. Early human ancestry is clearly not his specialty era. I know he's a specialist in greek and roman history so I'm going to give him the benefit of the doubt in those areas, but there is no excuse for what I've heard so far - this is meant to be an educational lecture, given by someone who has taken the time to research the facts and create an interesting narrative around them, not historical fiction with liberties taken to make a smoother story. Also he's got a hefty speech impediment that occasionally disappears for a word and then comes back. If it was consistent my brain would have tuned it out after a short while, but it comes and goes and so it was hard to filter out as I waited to see what his next S would sound like. And the way he emphasizes minor words was also distracting. I kept getting the impression he was putting on a show, playing with projecting his voice, emphasizing words for creative effect, rather than really trying to communicate. The entire thing was weirdly performance based, from the loose treatment of scientific fact to the audio, and really doesn't belong in the 'lecture/education' category. What made the experience of listening to The Other Side of History: Daily Life in the Ancient World the most enjoyable? He really brings to life the experiences of the everyday person in history, not just the rich or famous or influential. What other book might you compare The Other Side of History: Daily Life in the Ancient World to and why? I haven't read or listened to anything that compares to this. What about Professor Robert Garland’s performance did you like? He is entertaining, not dull or monotone. Other than about five merely 4-star minutes on what medieval knights wore in one of the later lectures, I can find little to fault with this Great Course. Robert Garland makes the past come alive in colorful, carefully chosen, elegant prose. One shouldn't let oneself be fooled by a posh British accent, but let's face it - it doesn't hurt. Nor does Garland's dry humor. He describes the ancient Egyptians, for example, as wearing a lot of "bling", and notes that while the Norman invasion brought to the English language words for cooked cow and pig, i.e. "beef" and "pork", the frenchified Norsemen neglected to teach the Brits how to cook and left them to eat appalling food for another thousand years. Surrounding these lighter moments is endlessly fascinating information about how people lived, such as that Rome was full of five-story apartment buildings. Who knew? And that the ancient Egyptians were such a conservative society that only experts can tell the age of paintings they made 500 years apart -- so little did their art change over time. I also came away with a rather different impression of Ancient Greece than I went into the course with, thanks to Garland's detailed descriptions of the separation of the sexes and the way slavery worked. In many ways Ancient Greece reminded me more, in the end, of the Arab world where I have lived, than of modern Western democracies. Some might bristle a bit at the slight academic leftist bent to some of the lectures, with their focus on the poor, the slaves, women, the everyman. This is, however, the point of the course, after all, and once you get past the occasional sense that someone's been hanging out a bit too long with the sociology department the information conveyed is all fascinating, not least the nuanced descriptions of how slavery worked in the ancient world (also reminiscent of how slavery still works in remote areas of the Sahel and Maghreb). Another thing I liked about this course was that just when you were thinking, "Really? How can we know that?" about one or another factoid, Garland would explain the source of the information, without every burdening the lecture with too much referencing. And again, just when you would start thinking, "Really? Did they really say that or think that? Am I supposed to just take your word for it?" he would pull out the perfect quotation from an ancient source, giving credence yet again to the sense he delivers so elegantly throughout, that these people really were not so different, in the end, from ourselves. Would you listen to The Other Side of History: Daily Life in the Ancient World again? Why? Yes, It's a great chronological history and would be great to reference again and again. I loved that it gives the human aspect of history. It puts a face to history that is not usually done and enable's you to swim through it. You can imagine what it must have really been like to be a housewife in ancient Egypt or a soldier in the roman army. Which character – as performed by Professor Robert Garland – was your favorite? He didn't do any character voices. He's definitely a professor. His tone is quite matter of fact but not boring. He does interject some humor and make it relatable. I felt like I was in a very relaxed lecture hall. It's too lengthy and you wouldn't be able to absorb it all in one sitting. I love that audible is offering these courses. I can't wait to try another one when I am finished with this one. I was so stunned by this course I listened to all of the lectures twice! The course lectures are well researched, enjoyable, and absolutely fascinating. I feel so fortunate to be living in the age of showers, antibiotics, and anesthesia! 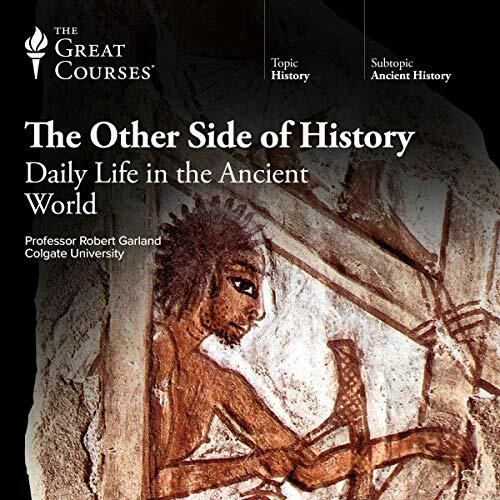 Where does The Other Side of History: Daily Life in the Ancient World rank among all the audiobooks you’ve listened to so far? Well narrated and informative. Where do I go for my course credit? Very good storyteller. Took a short while getting used to to English accent. I found it very similar to the character of "Ducky" in NCIS. But as I listened his narration and use of humor was first rate. He made it easy to live the story that he was telling. I found this to be a great listen. Dr. Garland both kept my attention and brought some chuckles from his intelligent brand of humor. I would highly recommend this to anyone who wants real insight to history delivered in an interesting manner. Focussing on Everyman throughout history, Dr. Robert Garland, Roy D. and Margaret B. Wooster Professor of the Classics at Colgate University, USA, attempts to put you, the listener, in the everyday sandals of different people of the Ancient World. Cladding the listener with the respective identities of a Palaeolithic human (1 lecture), a Mesopotamian (1 lecture), an Egyptian (4 lectures), a Greek (11 lectures), a Roman (11 lectures), the different ancestors of the British (4 lectures) and that of a Medieval person (7 lectures), he confronts you with the lives of ordinary humans. This is probably the reason why the material presented is so interesting. Throughout the lectures, Dr. Garland was engaging. I didn’t count any ‘uhm’ or ‘ah.’ The course is highly polished and tremendously informative. So if you are interested in history or just everyday life, recline at this table the cuisine is ready to be enjoyed. Would you consider the audio edition of The Other Side of History: Daily Life in the Ancient World to be better than the print version? Superb, loved his Greece and Rome, bought this and couldn't get enough. A natural story teller just brings the lives of ordinary people to life. Just relax and let Professor Robert Garland read the narrative to you. Got to be even better than reading it for yourself. Which character – as performed by Professor Robert Garland – was your favourite? The leader of the Roman bandits which he did with an east end accent like Fagan from Oliver Twist or an English pirate. Infant mortality in the ancient and medieval world 25-30%. Starvation of the children left behind after their family were wiped out by the plague and having to beg in the streets. Throwing ones relative onto a passing plague cart from an upstairs window which for a deeply religious people must have been terrible, but they had no choice. At 53 years of age I want to go to university and study history under Professor Garland. Along with the Time Travellers Guide to Medieval England and the Time Travellers Guide to Tudor England by Ian Mortimer this is a must for those that wish to learn about history from the viewpoint of ordinary people. Works such as these have taken a long time to appear, but now they they have I hope there is more to come. This was one of the best audiobooks I've purchased. The 48 30-minute lectures give a fascinating glimpse of what life was like for ordinary people in ancient and medieval times. The lectures are informed by a wealth of learning but are never stuffy or dry. On the contrary, they are very well written and are delivered in an excellent speaking voice by Professor Garland who brings the people "on the other side of history" brilliantly to life. Another reviewer has said that they are the nearest we'll get to a a trip by time-machine and that captures the essence of the lectures: as Prof Garland speaks we are back there with those ordinary people, sharing their hopes and fears and marveling how they coped without basic things we take for granted - medicine that is effective, spectacles to correct our vision, and so forth. Highly recommended. A great Listen. plenty of it. Slight repetition. Entertaining and informative. Well presented by the prof. who sounds a bit of a stereotype, but his enthusiasm is evident and his empathy for ancient lives is clear. What did you like most about The Other Side of History: Daily Life in the Ancient World? It informed about ordinary people through many cultures. Very well researched and read. Obviously interested in his subject and puts it across in an interesting and accessible way. Excellent narration with extraordinary breadth of research and insight into the other side of historical life across the classical and medieval periods. Wonderful example of empathic social history done with wit, intelligent charm and compassion. The lecturer is very pleasant to listen to but material is high school level with very few interesting and new facts. I found the course much more interesting at the start. The more modern the more we seemed restricted to England and my interest disappeared. It was an adventure to be sure and one that has kindled a new desire to know more about history, society and the human condition. The narrator is easy to listen to becuase he loves his job which brings you into the story without much struggle. I managed to listen all the way through doing a bit every day and highly recommend. I'll certainly resist a lecture or two. 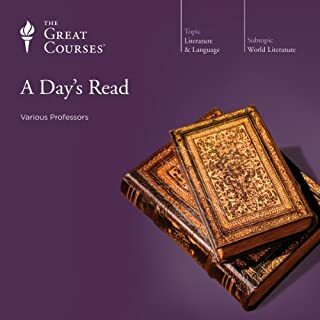 This starts off discussing daily life in the ancient world - although limited to the 'standard' civilisations traditionally covered in a western centered, English-speaking curriculum - ie Egypt, Greece, Rome, with only the briefest of mentions of any other civilisations. I'd say if you have very little knowledge of these societies then you should find plenty here to interest you. But if you have already read any basic introductions then there will be little new here. Unfortunately after finishing with Rome he then moves on to a very fast skim through Roman Britain, Anglo Saxon England, Vikings, Norman England and then 14th Century England. Most of this could hardly be considered 'ancient' history, and indeed it's such a rapid overview that there's really no insight into daily life either. 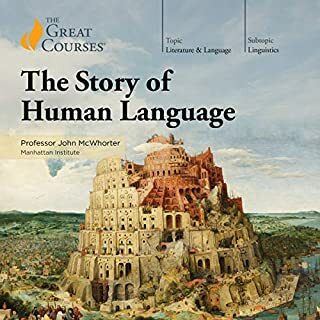 I became pretty annoyed by the end at how western- centric, Anglo-centric it all became - having purchased a course on the ancient world, I found myself listening to the Audible equivalent of an Usborne book of English history. I appreciated the care and attention given to the lives of women in these lectures. In my opinion, Professor Garland has made a great effort to be as inclusive of their daily struggles and social contexts as the subject and current evidence allows. He also devotes chapters on the sick, disabled, the poor and refugees. All together I found it very immersive and Professor Garland's passion and enthusiasm for this very broad subject helps to give the listener a sense of what ancient life was like. I found it fascinating to learn how much we differ from the social mindsets of different ancient cultures, and in what ways we are still very much the same. Despite the obvious hardships that the people in these lectures had to endure on a daily basis, there are moments that make you smile. These are the moments that I feel that we today can relate too all too well. Dealing with your in-laws, tolerating a boring drunk at a party, falling in love, etc. There are also areas where the social behaviours of an ancient culture could be seen as shocking and utterly horrifying to us today. 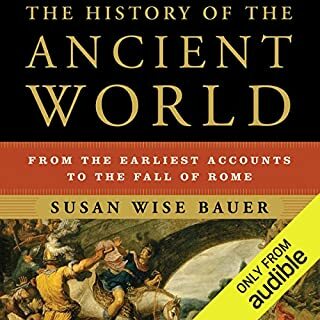 I would definitely recommend this to anyone who is fascinated with the ancient world and wants to get a taste of what life was like for ordinary people. I have thoroughly enjoyed this journey of the ancient world seen through the eyes of the every day folk. I found these lectures to be thought-provoking & surprising - which is certainly what you'd want in a lecture series. Prof Garland did quite a good job of communicating the realities of daily life in the ancient world. Although at times his manner was a tad awkward, it didn't detract from the information excessively. He even injected a bit of vigor into subject which was appreciated. As for the story itself, the subject matter was well-researched and fairly comprehensive. It was also presented in a way that made the information easy to retain and follow. However, I did expect more information than was presented - this isn't necessarily a fault of the series - but is perhaps due to the scanty nature of some of the evidence available. I also might've appreciated a little more detail into the ethics and thinking of people in the societies presented. Therefore, I award this course 12/15 stars. Performance, although very good was, as mentioned, slightly awkward at times. Story, not as detailed as I would've desired but very good overall. I was awarded with an overall positive experience in listening to this series! Lately, our educational institutions have become a little precious about teaching history. There is too much rationalism and too little 'investment in minds' underpinning much of Western academia. And of course, more and more education is now priced out of most ordinary people's reach. That is why The Great Courses is such a valuable institution. I've listened to a great many of their lecture series. And this lecture series about the daily lives of people throughout history is one of the greatest examples of what can be achieved in this format. The writing is excellent, and the lectures are delivered in an interesting and idiosyncratic style. There is a lot to interest the student of history, including the occasional funny witticism or pithy personal anecdote of the author. Once I got into this series, I had to listen until the end: each episode really is very good. If I ever get to London, I will certainly make my way to the British Museum (of plundered artifacts) and pop in and say hello to 'Ginger'! I learned a lot from this series. Every lecture was presented in a logical and interesting manner and each built upon the preceding one in a considered and meaningful way. In such a broad sweeping series you will find naturally find some material to be a little 'skeletal'. However, insofar as this series attempts to draw a broad picture of ordinary human life, experience, endeavour and development, there is no doubt it admirably achieves its aim. This is a great achievement by Professor Robert Garland. Content and reader are wonderful , an audiobook I will listen to many times , thank you. Always stimulating and riveting - it really does bring the ordinary folk from antiquity to life. Fantastic experience. I thoroughly enjoyed listening to Professor Garland. His voice was a joy to listen to and his presentation of the other side of history sparked my imagination. 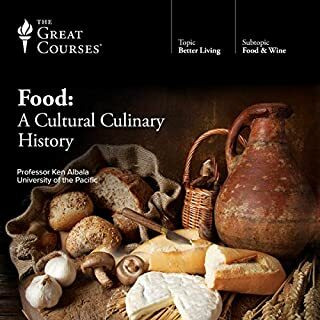 I learned so much and I couldn’t recommend this course more highly. Yes. I've listened to a lot of history courses, understandably, most of them cover the big events of the era, and follow the succession of kings and emperors. This really fills in the gaps for what it was like to live there at the time. The small details and facts that are invariably left out of the 'Great man' narratives. Me. Though this is still structured mostly as an exposition, I could still close my eyes and imagine myself in these times and places, as a worker in ancient egypt decorating the pharaoah's tomb, or drinking at a symposium with fellow Greeks, discussing politics and philosophy. I noted that Robert Garland plugged his other Great Course: "Greece and Rome: An Integrated History of the Ancient Mediterranean". I spent my next credit on that one, and it didn't disappoint. fascinating glimpse in the lives of ordinary people in the past. could not get enough of it. I want you to understand that I'm not really into history. I bought this on a whim as it was good value for money and thought, what the heck. Though I'm so glad I did. This truly is a masterpiece and a real exploration into the human condition. 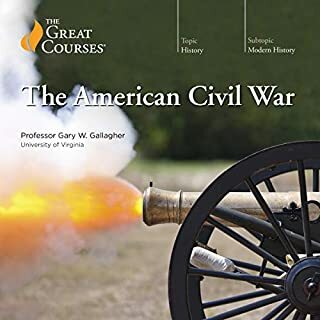 I only wish that more people took the authors approach to teaching history. This is easily the most relatable, and human, history I have ever heard. Its not just that though, you can almost feel how you would feel back then and see that in many ways we arn't much different. Loved every moment of this walk through history. Charmingly narrated. Educational and also entertaining. Recommend!